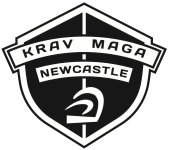 Join us - Krav Maga Newcastle, If you are over 18, select the membership that best suits your needs and click on it. You’ll be prompted to log in or join, all you need is an email address and card details, it takes a little over 1 minute. See you in training. There is a £30 joining fee, this is paid in class. The joining fee covers membership to Krav Maga Newcastle and Krav Maga Alliance and your official KMN breathable Tshirt. Join us and start your journey today! One Evening a week includes 2 Classes per night totalling 8 Classes Per Month! You are not fixed to a given day. Unlimited Training includes all Classes (24 Classes per month) and includes all open mat sessions. Unlimited Training includes all Classes (24 Classes per month). All open mat sessions. And 0ne 1-1 Personal Training Session per month. Simply Select Your Membership And We Will Apply The Discount!